Nat Friedman, Howard Levine, Carlo Séquin :	Welcoming Remarks. Linda Dalrymple Henderson : Signs of The Fourth Dimension In Modern Art. Bruce Beasley : Polyhedral Sculpture With Complex Intersections. 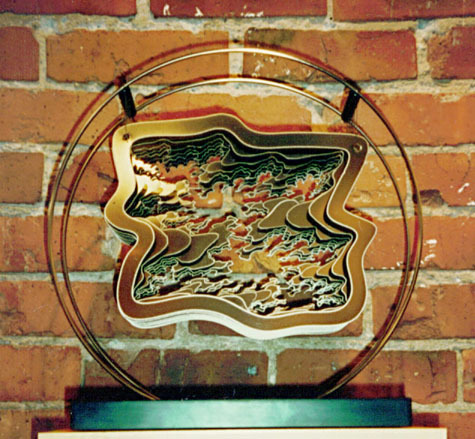 Ken Herrick : Fractal and Kinetic Artworks. Harriet Brisson : Structures of Infinite Extension. Mike Field : Designer Chaos. David Hoffman, Jim Hoffman : Minimal Surfaces. Clifford Singer: Geometry & Color - Engineering a Visual Field. Will Ackel: Computer Modeling of Zometool Models. Samuel Kiwasz: Geometric Creation Theory. 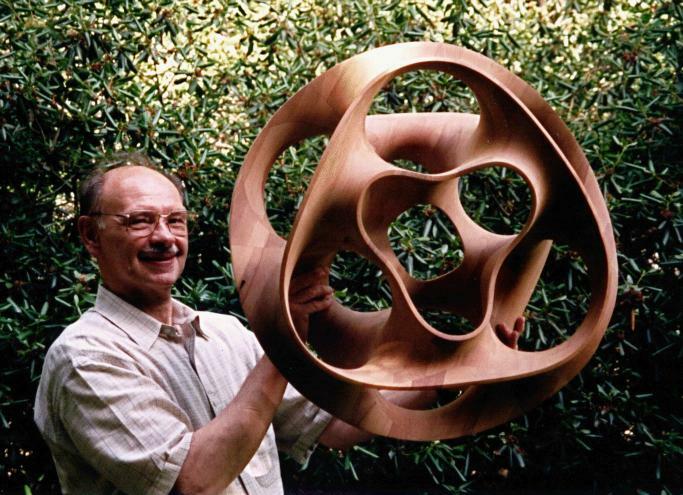 Charles O. Perry : Implications of Mathematical Sculpture. Carlo Séquin : Sculpture Design as a Programming Task. Brent Collins : A Progression of Geometrical Sculpture. Steve Reinmuth :	From Design to Pattern to Bronze. Bill Thurston : Math Visualization. Scott Kim : Inversions, Symmetry. Thomas Michael Stephens: Universal Modeling: Creating Paradigms with Constructive Art. Bernt Wahl: Fractals to Fashion. Pete Wells: Art ??? Math -- Four Prepositions. Victor Donnay: Surfaces with Chaotic Geodesic Flow. Helaman Ferguson : Mathematics In Stone and Bronze. Stephanie Strickland : Poems In Conversation With Mathematics and Hypertext. Gyongy Laky : Geometry of Form and Sculptural Constructions. George Hart : Polyhedra in Art through the Ages. Diana Venters : Mathematical Quilts - From Fibonacci to Fractals. Jean-Pierre Hebert: Paths in Wood, Steel, Sand. Doug Dunham: Families of Escher Patterns. John Sullivan: Optiverse (Sphere Inversion). Gretchen Greene: Mathematica and the Movies. "Birds of a feather ..."-Session on Polyhedral Transformations. Mike Field :	PRISM - PRograms for the Interactive Study of Maps. Karl Schaffer, Scott Kim : Geometrical Dance: Polyhedron Transformations. Helena Verrill : Origami & Fractal Tilings. 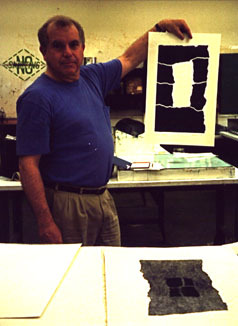 Nat Friedman : Fractal Stone Prints. Carlo Séquin : Virtual Sculpting on a Graphics Workstation.